Sefer Yetzirah (ספר יצירה )is one of the earliest books on Jewish esotericism. "Yetzirah" is literally translated as "Formation"; whereas the word "Briah" is used for "Creation". The book is traditionally ascribed to the patriarch Abraham, some even going as far back as Adam. According to Jewish tradition, Abraham was born under the name Abram in the city of Ur in Babylonia in the year 1948 from Creation which is around 1800 BCE. Chapter 6 of the book speaks about Abraham and his covenant with God and the sign of Circumcision which forms the background of why the book is ascribed to Abraham. Hebrew belongs to the Canaanite group of languages. In turn, the Canaanite languages are a branch of the Northwest Semitic family of languages. According to Avraham ben-Yosef, Hebrew flourished as a spoken language in the Kingdoms of Israel and Judah during about 1200 to 586 BCE. Most Christian scholars consider Hebrew as the language spoken the world all over before the dispersion at Babel. The historical origin of the Sefer Yetzirah was placed by Reitzenstein (Poimandres, p. 291) in the 2nd century BCE. According to Christopher P. Benton, the Hebrew grammatical form places its origin closer to the period of the Mishna, around the 2nd century CE. Modern scholars haven't reached consensus on the question of its origins. According to Rabbi Saadia Gaon, the objective of the book's author was to convey in writing how the things of our universe came into existence.although some early commentators treated it as a treatise on mathematical and linguistic theory as opposed to Cabala. 5) The Gra Version, among others. The differences among these versions tend to be minor. I have given these as appendix in case one wants to compare them for clarity. 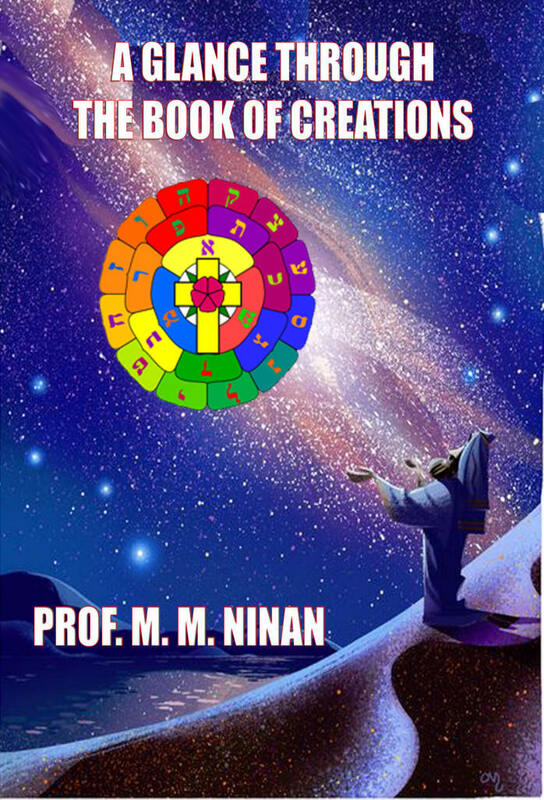 The basic principle that is enunciated in the book is that the whole cosmos was created by the logos of God. Logos is a term in western philosophy, psychology, rhetoric, and religion derived from a Greek word meaning "ground", "plea", "opinion", "expectation", "word", "speech", "account", "reason", "proportion", "discourse", but it became a technical term in philosophy beginning with Heraclitus (c. 535–475 BCE), who used the term for a principle of order and knowledge. Logos is the logic behind an argument. Logos tries to persuade an audience using logical arguments and supportive evidence. Logos is a persuasive technique often used in writing and rhetoric. The Stoic philosophers identified the term with the divine animating principle pervading the Universe. Under Hellenistic Judaism, Philo (c. 20 BCE – 50 CE) adopted the term into Jewish philosophy. The Gospel of John identifies the Logos, through which all things are made, as divine (theos), and further identifies Jesus Christ as the incarnate Logos. Trinitarian theologian Frank Stagg writes: As the Logos, Jesus Christ is God in self-revelation (Light) and redemption (Life). He is God to the extent that he can be present to man and knowable to man. The Logos is God,[Jn 1:1] ... Yet the Logos is in some sense distinguishable from God, for "the Logos was with God". [Jn 1:1] God and the Logos are not two beings, and yet they are also not simply identical. ... The Logos is God active in creation, revelation, and redemption. It is in this widest sense the book of formation use the idea. It portrays the creation simply as the word becoming flesh - the 22 letters and the simple arithmetic of number and their logic as the basic ingredients of creation. Sometimes it tend to suggest the Jungian dichotomy of attempted masculine and feminine consciousness. The logic even leads to an apparent concept that the life forms are one within another ad infinitum leading to a living person within God himself. I present this book in my attempt to make sense of the book claimed to be written by Abraham. Evidently it is a very successful attempt to explain order within the cosmos in terms of the science of the day and probably in terms of even the modern day science.